Both parties are lining up for a crazy 2020 campaign. But one college coach had a funny reaction to the elections. The 2018 midterms provided plenty of drama. Democrats expected a mandate by taking dozens and dozens of House seats and flipping the Senate. Donald Trump and the House Republicans performed on par with historical averages. And the GOP picked up seats in the Senate. The Democrats also saw some of their media darlings take a tumble. Andrew Gillum, Stacey Abrams, and Beto O’Rourke all lost. And all of them had huge celebrity endorsements and obscene amounts of cash. Democrats threw everything they had into the midterms. They brought back Barack Obama to stump for high-profile candidates. Obama actively campaigned against Trump with bad results. All of this was in an effort to bring about the blue wave. But it was all hype. A strong economy and a pitch for border security resonated with America. However, not everybody showed a deep concern for these issues. 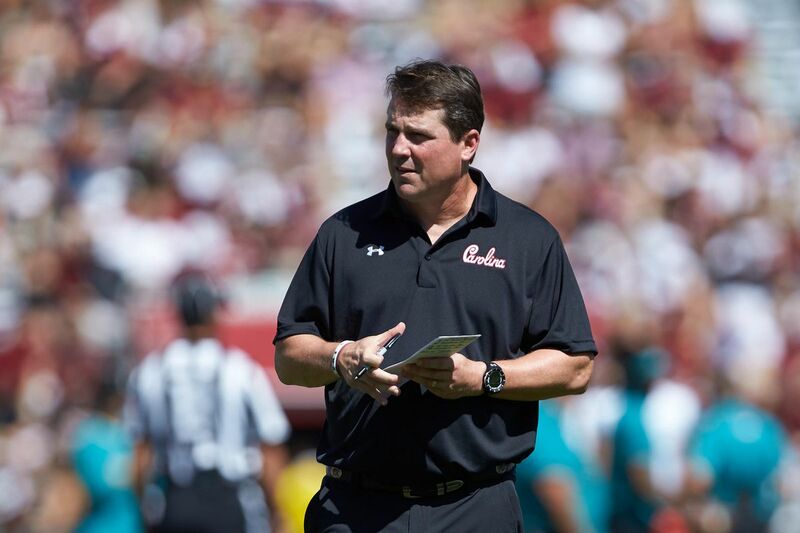 South Carolina head football coach Will Muschamp doesn’t suffer fools. Muschamp once punched a whiteboard after drawing up a play in a fit of rage. During a halftime interview, Muschamp literally growled at how poorly his team played. Has Coach Muschamp addressed voting with his team? He’s paid to win football games, not talk politics. Muschamp’s Gamecocks have a big game against the Florida Gators, his former team. He has much more pressing matters on his mind. A win over the Gators would go a long way toward a good season. Muschamp’s response to the reporter was priceless. It’s refreshing to see a coach who doesn’t feel the need to talk politics. NBA coaches like Steve Kerr and Gregg Popovich constantly rant on politics. They just want to watch sports. That’s why the Colin Kaepernick anti-American anthem protests were so upsetting. Many fans stopped going to games and watching on TV. They promoted Kaepernick as a hero. Magazines and leftist groups praised the disgraceful acts. Even cheerleaders are now kneeling for the National Anthem. This shows a rot in our culture. And the left is responsible. Leftists want every aspect of life to be infused with politics. It’s almost impossible to watch a movie, TV show, or sporting event without an intrusive liberal message. The cultural rot first began in the colleges. But now it’s spreading everywhere. Hopefully all Americans can go about their days without political fights. Coach Muschamp gave everybody the blueprint.